When you’re involved in a high-asset divorce, there are many factors that can affect the legal outcome of your situation that aren’t as critical when financial matters are less of a concern. 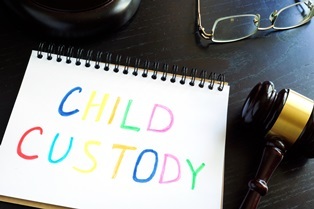 Even the matter of determining custody for your children can become more complicated. It’s important to understand child custody and child support determinations in a high-asset divorce. If you and your spouse agree on a parenting plan, the court must approve it before it can take effect. The law states the court must consider the best interests of the child—not necessarily what parents find easy or convenient. When there’s an issue with a parenting plan in a high-asset divorce situation and you cannot come to an agreement with your spouse, the court looks at a number of additional factors to make a determination as to what is best for the child. A big factor the court may consider is the standard of living the children had prior to the divorce. While changes in lifestyle can be a part of any divorce, the court typically rules in favor of maintaining a stable lifestyle for children. This means, if one parent has a much greater financial advantage over the other, this may play a role in determining custody. It can also affect the outcome of child support payments. As a part of maintaining a stable lifestyle for the children, the court may also look at the child’s standard of education such as the ability to continue attending a private or boarding school. Continued access to extracurricular activities and expensive hobbies that the child participates in may also be a factor in working out where the child spends part or all of his time. The court always wants parents to come up with a plan that keeps the best interests of the child in mind. If you cannot come to an agreement, a mediator may be able to help, or you may end up at trial with a judge making the decision for you, which is rarely an ideal solution. If you have legal questions about child custody in your divorce, seek the advice of a divorce attorney with experience handling the unique problems that come with high-asset situations. Your attorney will be able to advise you of your legal rights and represent you during the entire divorce process. The Law Offices of Molly B. Kenny has been serving the diverse needs of divorce and family law clients in Washington for decades. We understand that every family is unique, and we have the years of experience to help you and your family through your unique divorce situation. To arrange a private consultation with a legal professional in our Bellevue office, call us by phone, or use our contact form to send an email.